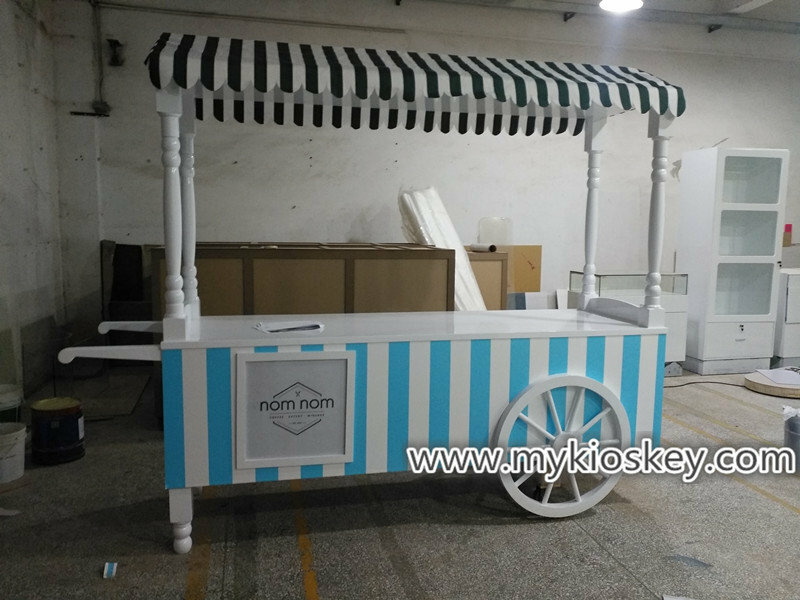 moible food cart is very hot sale and for businessman will is a lower investment ,current many customers asked about cake ice cream food cart , here i will share some design style we made before . 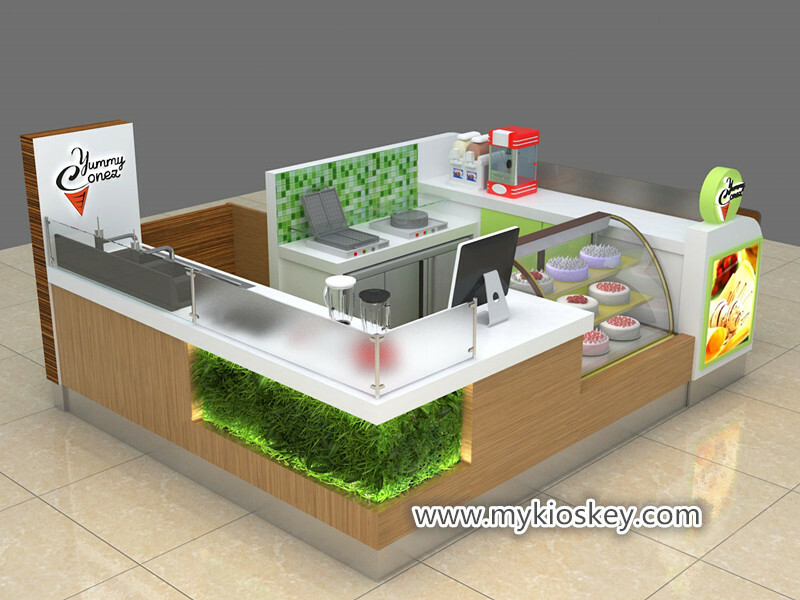 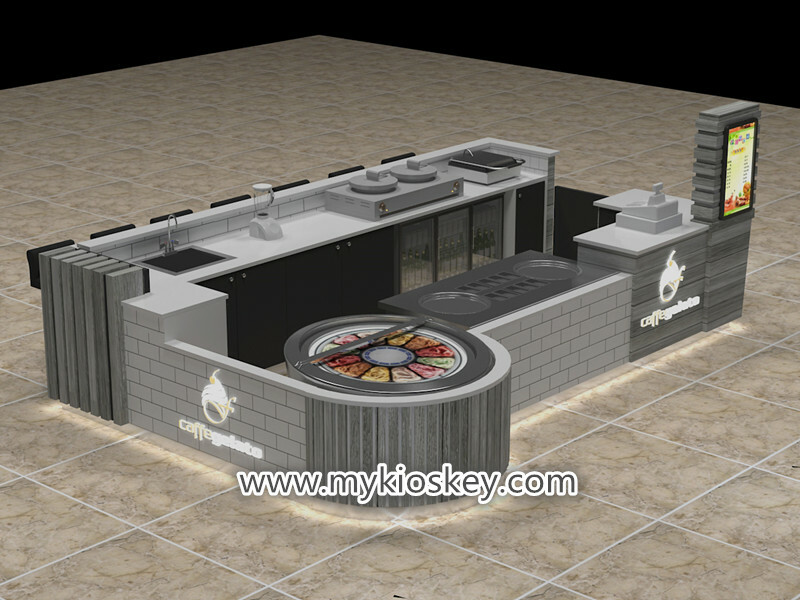 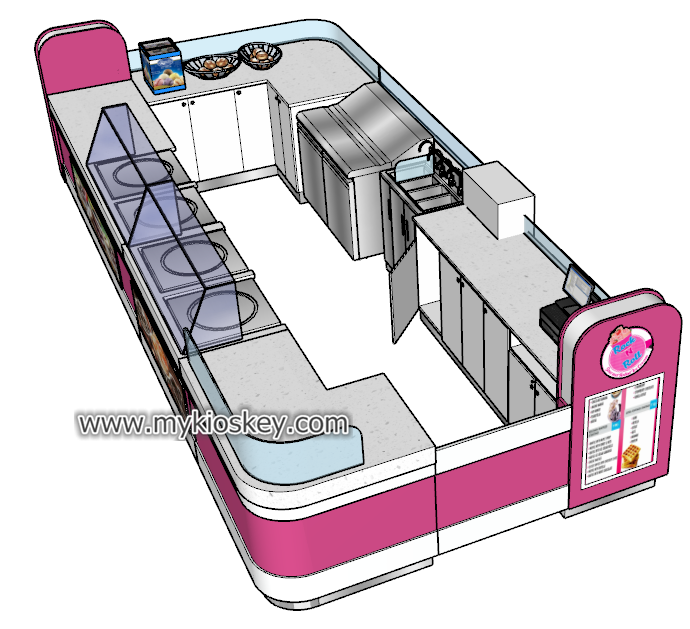 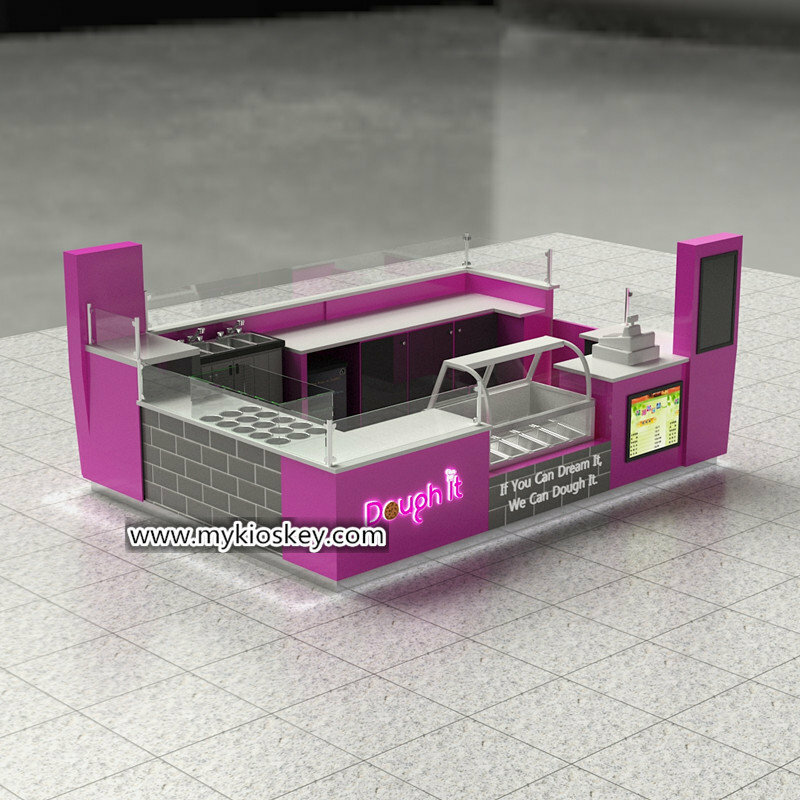 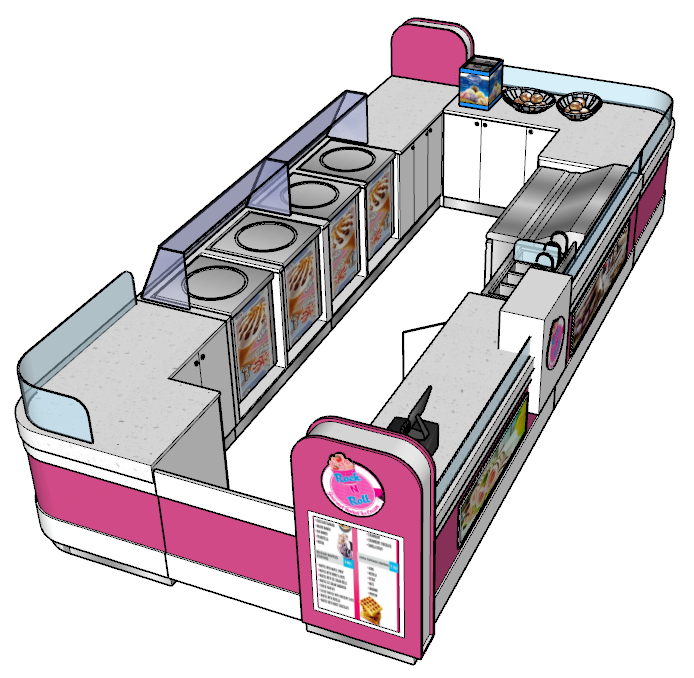 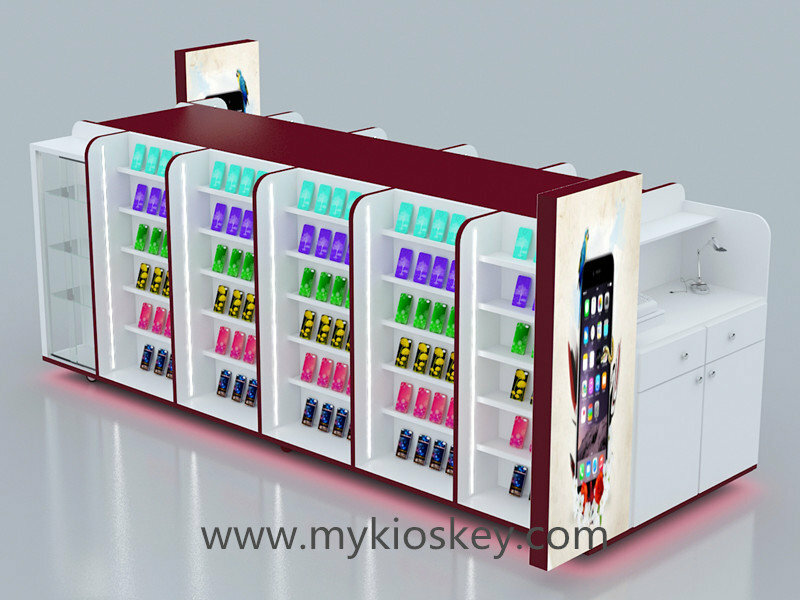 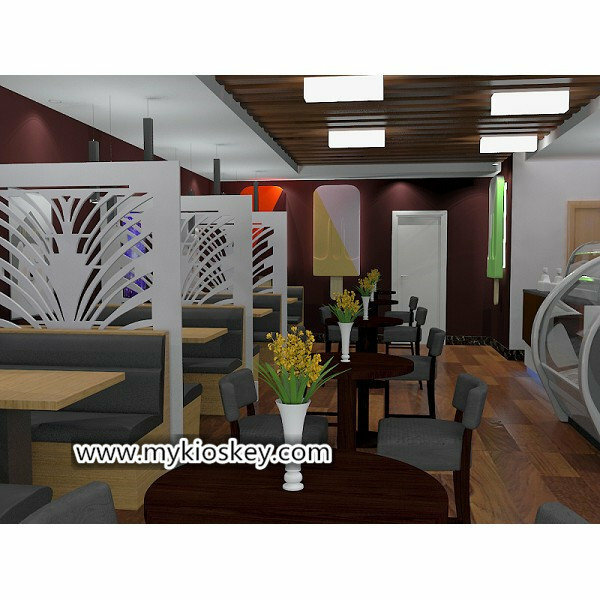 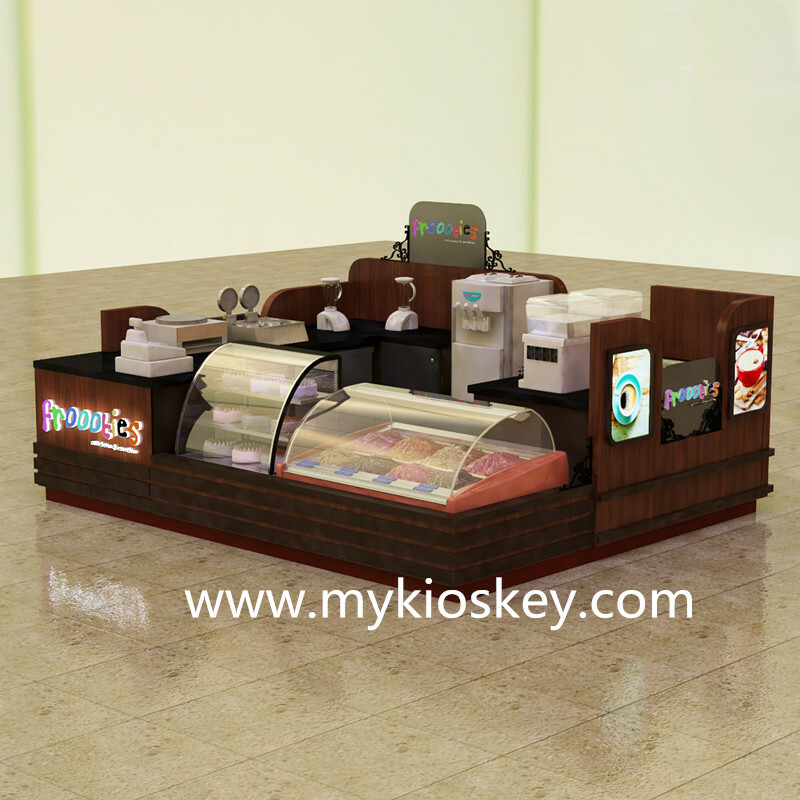 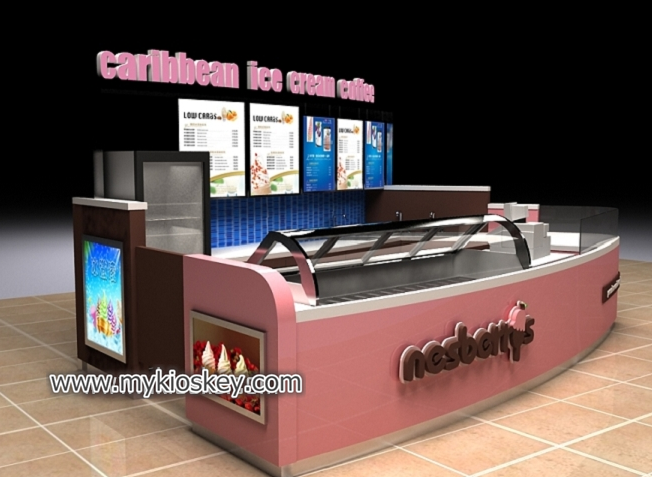 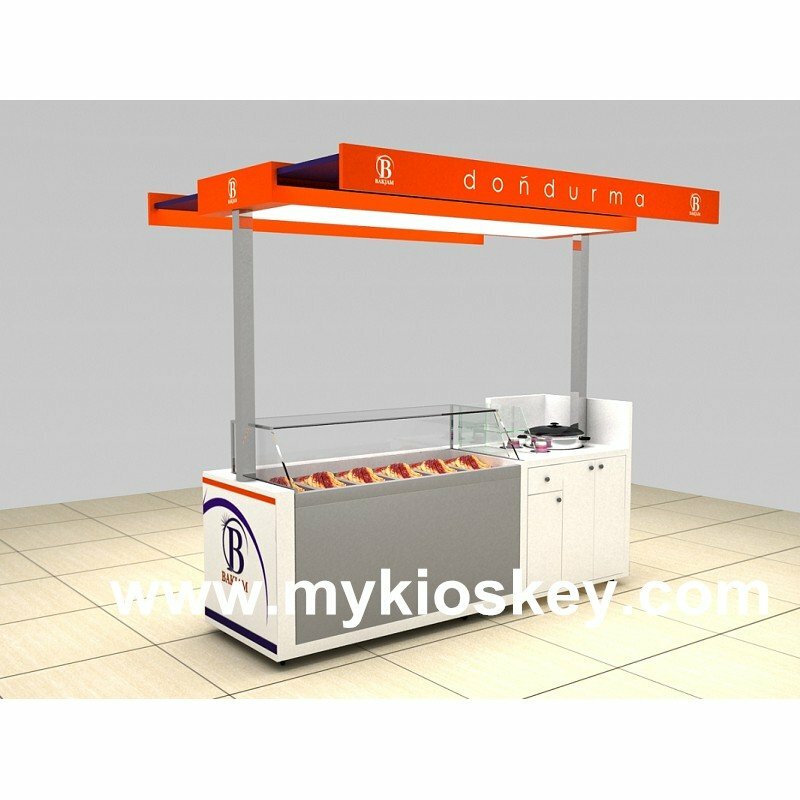 1. the cart sell cake ice cream display , design is very elegant , cart with mimi roof and install have light on the top , on the counter top put a cake display fridges and then leave suitable space to put pos machiens . 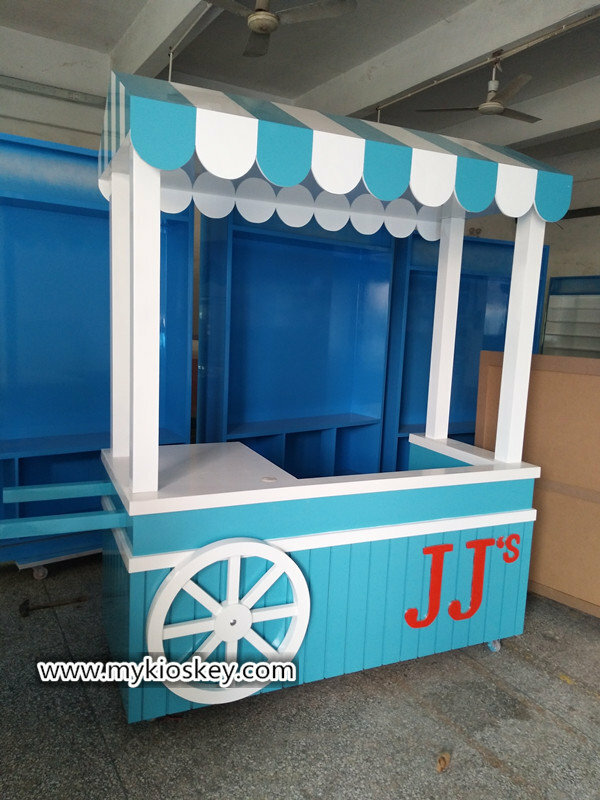 cart body is for storages, about wheels , because customer is for indoor , so need mobile , so we made wood wheels . 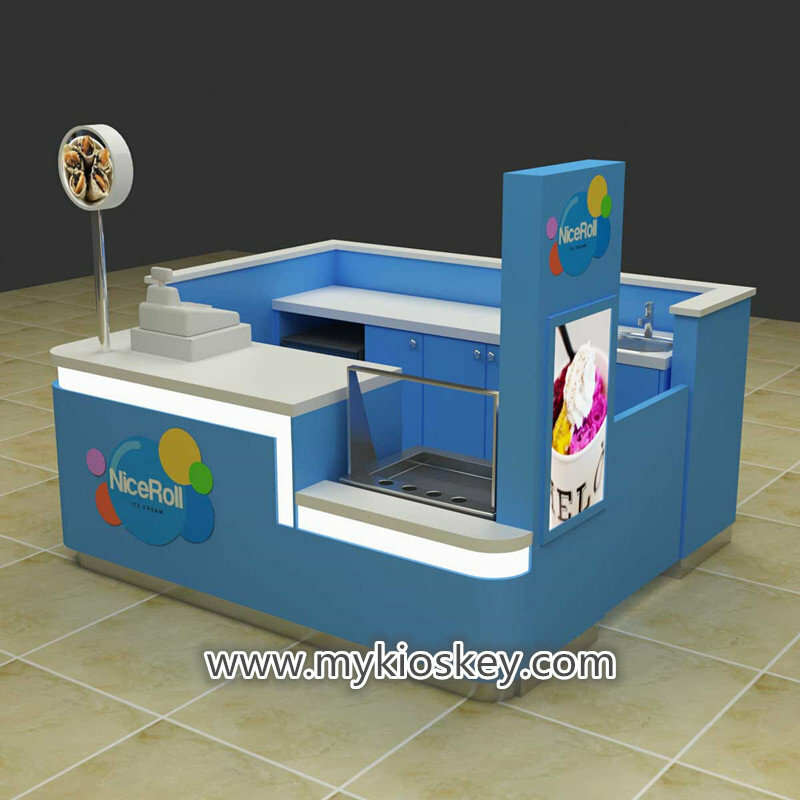 MDF with baking paiting finish is very high-end . 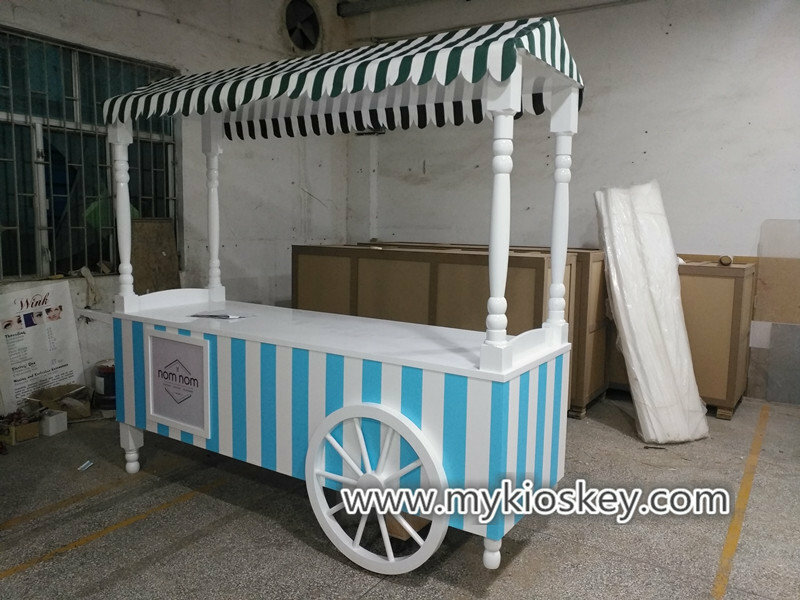 How can I order one nice-looking cake ice cream food cart ? 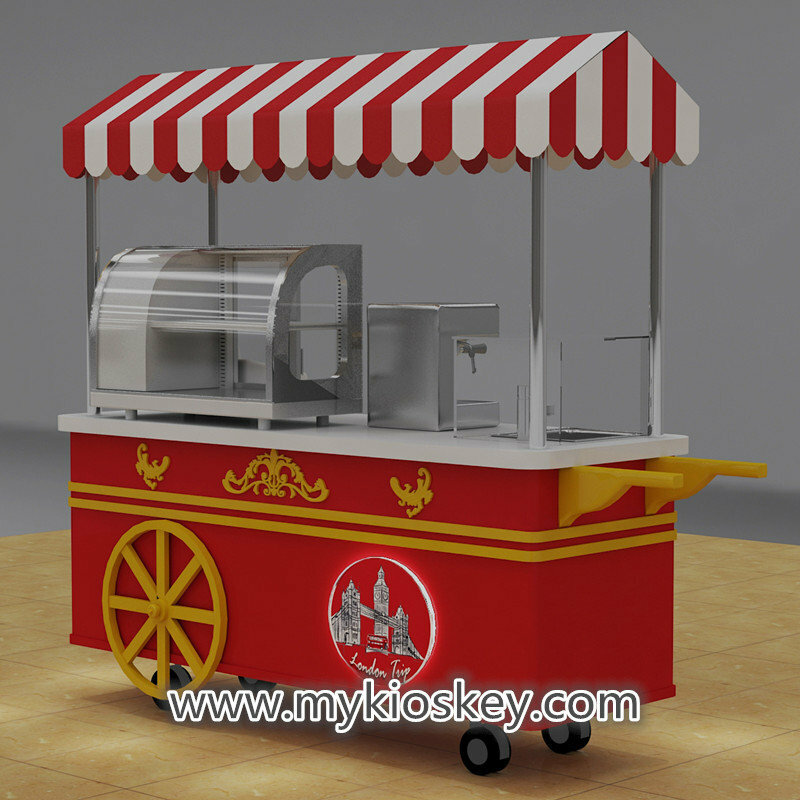 1-Contact our sales to discuss your specific requirement regarding nice-looking cake ice cream food cart.